Our executives lead a global team of librarians, bibliographers and collection development experts. Our solutions are backed by decades of dedication and a commitment to innovation. Prior to joining GOBI Library Solutions, Darby Kopp was part of the EBSCO Corporate Planning team. Before EBSCO, Darby was a founding partner at Harbor Light Capital Partners, a venture capital firm focused on business-to-business technology companies. Darby also has extensive prior experience in operations, business development and strategy consulting. Darby earned his MBA from Dartmouth College’s Tuck School of Business and a B.A. degree from Swarthmore College. Kristine Baker joined GOBI Library Solutions in 2000 and has worked in the Sales Department since 2003. In 2004, Kristine joined the Sales Management team with regional responsibilities and new business development. 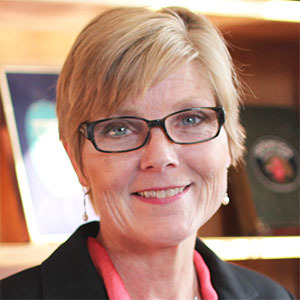 Since 2007, Kristine has focused on the development of products and services to support the acquisition of digital content for the academic library market. Kate Hartnett is responsible for the financial, accounting and reporting aspects of GOBI Library Solutions and assists with future direction and tactical initiatives. Throughout her career, Kate has held senior leadership positions in finance and accounting, mainly in the healthcare field. Her previous roles include Corporate Controller of Emerson Ecologics and Director of Accounting at InfraRedx. Kate is a licensed CPA and earned her B.S. in Accounting with Southern New Hampshire University. Nat Bruning has held a variety of Operations Management positions at GOBI Library Solutions covering distribution, collection management, publisher relations, purchasing, eContent operations and order management. Prior to joining the company in 1991, Nat was the Materials Manager at Crosscom Systems and Dupont/FujiFilm. He earned a B.A. in English from the University of New Hampshire. Jeffrey Pickert joined GOBI Library Solutions in 2003 and has held a number of operations and business process improvement roles. Prior to joining the company, Jeffrey served as Director of Operations for iDolls Corporation, a leading online retailer of toys and publisher of children’s books. He also held management roles at the American Girl division of Mattel Inc., supporting both the toy and publishing arms of the business. Jeff earned his B.S. in Mechanical Engineering from the University of Wisconsin.